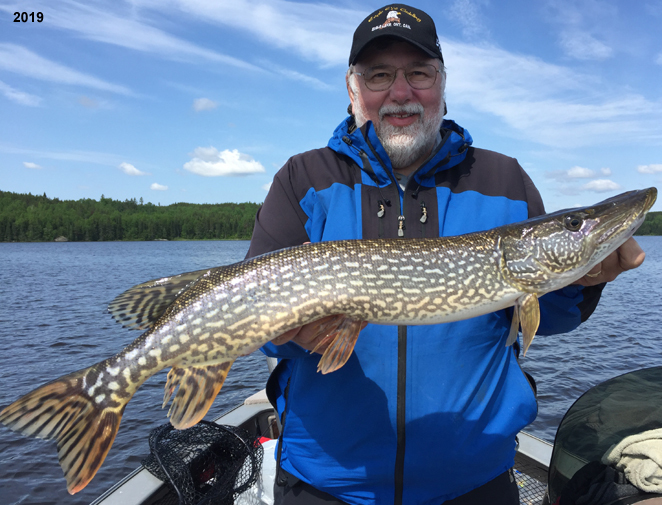 The Northern Pike fishing on Eagle Lake has become a quality fishery. 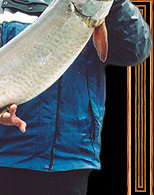 The implementation of the slot program in 1997 is responsible for the tremendous increase in trophy Northern Pike in the lake. 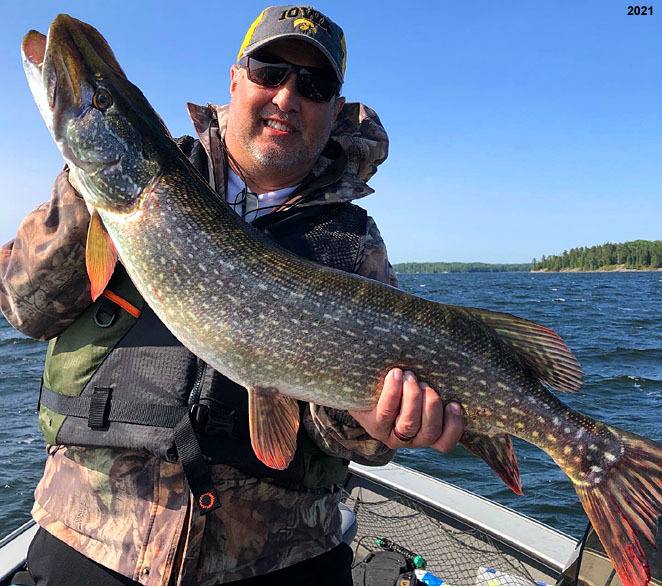 We are constantly catching and releasing Northern Pike in the 6 - 10 pounds but there are lots of Pike, which are much bigger. 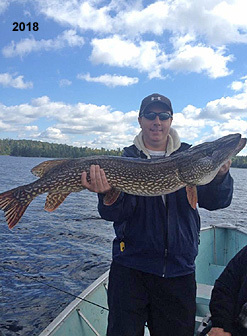 Over the years we are noticing more and more trophy Northern Pike being caught and released each year. Big females like to spawn shortly after ice-out. Early May to the end of May is a great time to sight-fish for them up in the shallows. We locate some very nice Pike up in the creeks once the water starts to warm. They are looking for migrating suckers and walleyes. I have a few fly-fisherman that come this time of year because of the easy access to these shallow cruisers and the quality of the fish they catch. We use a lot of weedless plastics, top-water lures, and smaller spinner-baits this time of year. This is some of the best fishing of the season for these vicious gators. Throughout the summer we locate numbers of fish by trolling smaller Crank Baits along edges of weedlines and first-break lines in a bit deeper water. Using 6'6" - 8' medium to medium-heavy rods with 15 - 25 lb. super lines or braided lines works perfect. We are casting some of the bays where the weed beds are growing thick because of the warmer water and amount of sunlight they get. 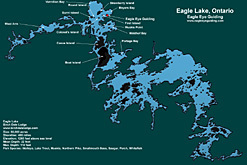 These areas often produce some very large fish. Casting spoons, Spinner Baits, Bucktails, shallow Jerk Baits and weedless plastics result in many memorable strikes and boated fatties. This period we use 4" - 6" sucker minnows on Lindy Rigs on reef structure off the deeper edges. While doing this we catch good numbers of 6-8lb. Pike and the odd big girl. 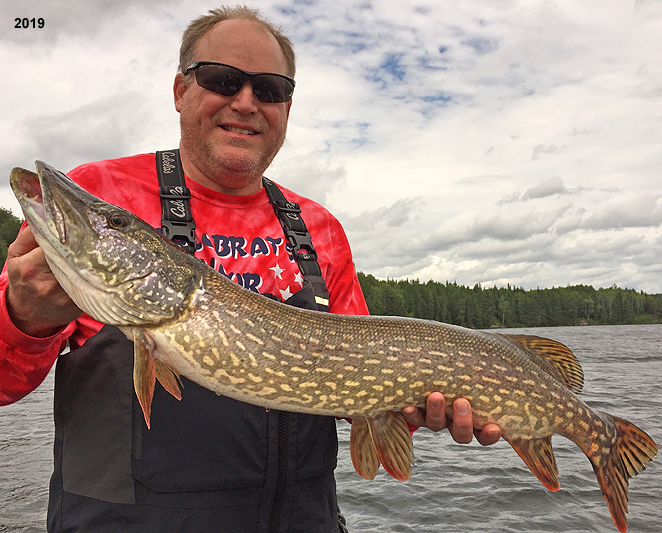 For the Big Trophy Pike; this time of year we cast for them with our Muskie baits. 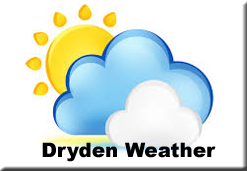 We cast 8"- 12" lures in the weed beds that are dieing off as well as cast lures over shallower submerged rock piles. 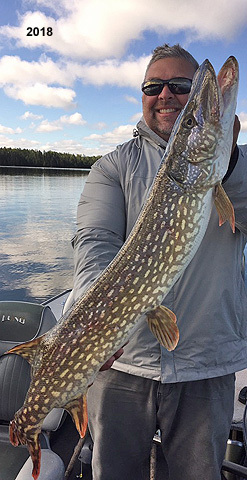 Every year very large Northern Pike are taken on the main basin points and the adjacent shorelines on either side of the points. These fish are one of the most fun fresh-water species to catch. 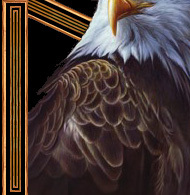 All season long you will be impressed with their long runs and aerial acrobatics. A day of chasing these gators can be very entertaining and rewarding.